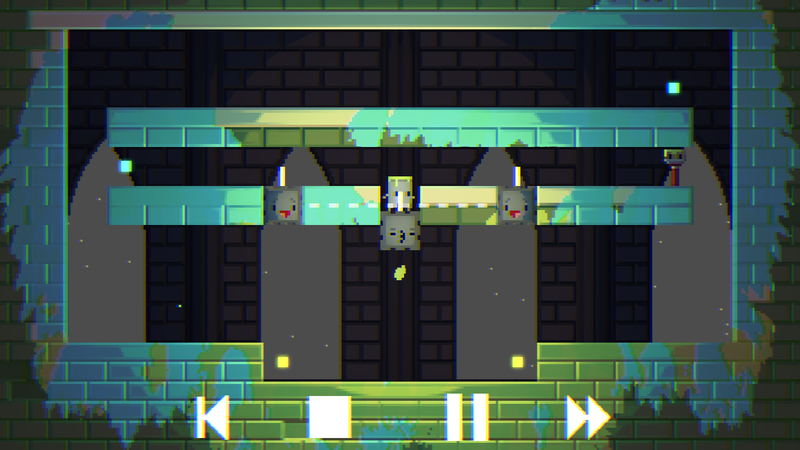 This clever puzzle-platformer uses portals for the perfect touchscreen controls. Truly unique—and totally addictive—puzzle games don’t hit the App Store every day. 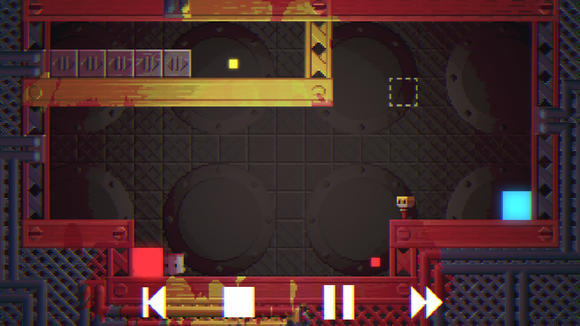 But Telepaint is an adorable puzzle-platformer with a clever, touch-friendly twist: Instead of furiously tapping your screen to jump, duck, and slide past obstacles, you use a portal system to get your little paint bucket protagonist safely to his paint brush buddy. If you’ve ever played a typical mobile platformer, you can probably figure out why this portal system is, well, awesome. It takes just enough precision out of the mix that your touchscreen won’t frustrate you, while still keeping the platformer elements of timing and skill. You still need to be able to time your character’s movements and link portals in the correct order, at the correct times, but you don’t need to worry about dying because you accidentally hit a mysterious dead spot on your screen. Because you only need to tap specific areas (the portals, which are colorful, pulsing dots), this game is basically perfect for your phone. 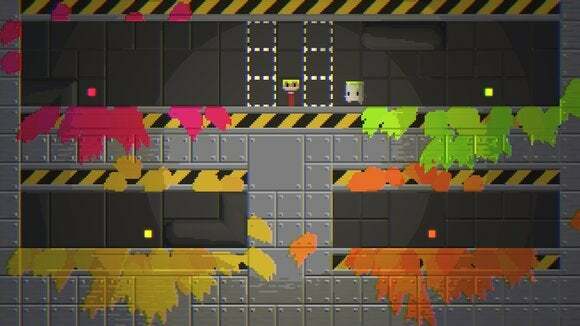 Puzzle + Platformer: Telepaint isn’t your traditional puzzle game. While it relies mainly on strategy—you’ll need to use your brain to figure out how to get your paint bucket around obstacles that are constantly in flux—it also requires a certain amount of timing and skill. 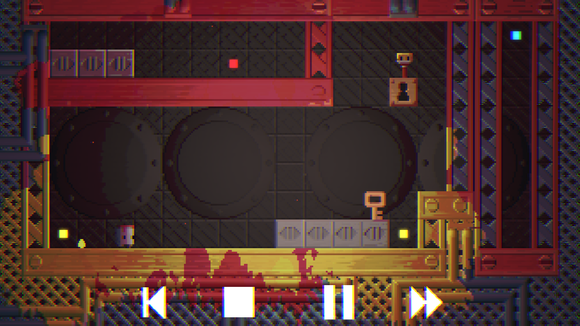 Don’t get me wrong, Telepaint is definitely a casual game and no level is mind-bendingly (or skill-bendingly) difficult, but let’s just say it’ll keep you on your toes. 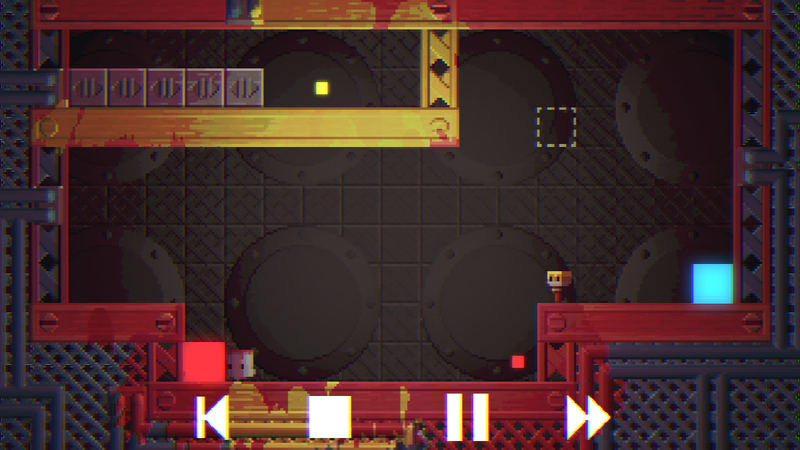 In Telepaint, you play a cute little paint bucket who needs to get to his paint brush friend. The level starts out with your paint bucket standing still, and facing in one direction. He’ll walk in one direction until he hits a wall, then he’ll turn and walk the other direction. He can’t jump, roll, slide, fly—any of these things—but he can teleport. When two portals are active and linked, they’ll pulse. Teleport points appear throughout the level. Each point is a colorful, pulsing dot, and each point can be connected to any other teleport point on the board (color doesn’t matter, it’s just for show). To connect two points, tap one dot and then tap the other. When your paint bucket walks into one, he’ll teleport to the other and continue walking… in the same direction he was walking when he bumped into the first dot (this is important). You’ll need to use teleport points and manipulate objects to get to your paint brush buddy. In each level, you’ll need to strategically use these teleport points to get your guy to his paint brush buddy, avoiding obstacles such as spikes, and manipulating objects such as keys, locks, and moveable blocks. In many cases, teleport points will need to be linked up in quick succession—that’s where timing and skill comes in. 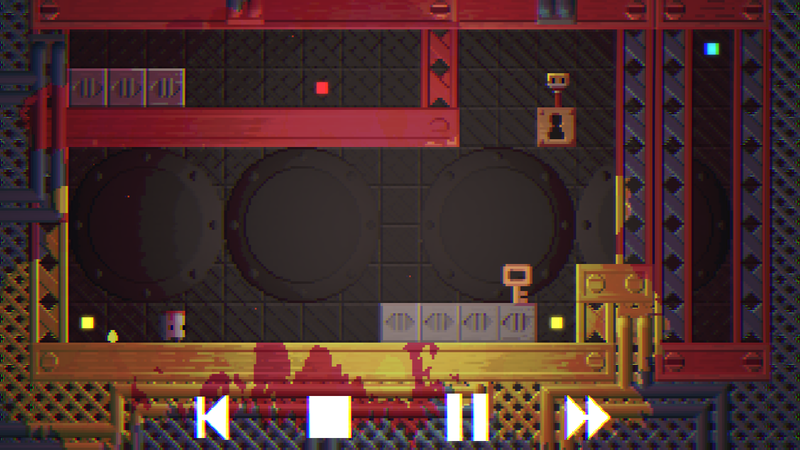 Cute, retro-style graphics and sound: Telepaint is adorable. I’m a total sucker for pixelated anthropomorphized inanimate objects, though, so I might be a little biased. The paint bucket and the paint brush are super cute, and a couple of other objects or “characters” also get the adorable treatment. 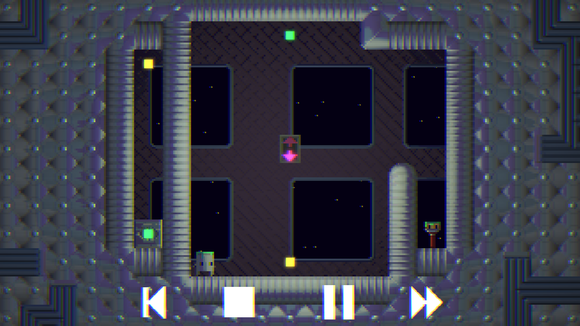 The game features simple, retro-styled levels that are mostly monochromatic. This doesn’t last long, however, because as your paint bucket teleports around the board, he splashes paint everywhere (he also splashes paint when he dies). The paint splashed matches the color of the portal he entered/exited, and so by the end of each level you’ll have a very colorful environment. But by the end of each level, your paint bucket has sloshed color everywhere! The game also has a great soundtrack—sort of a retro-futuristic synth beat that reminds me of the music from F-Zero. The soundtrack is a little repetitive, but it’s also synced up to the beat of your character’s jaunt, which can help you time your movements and portal jumps. 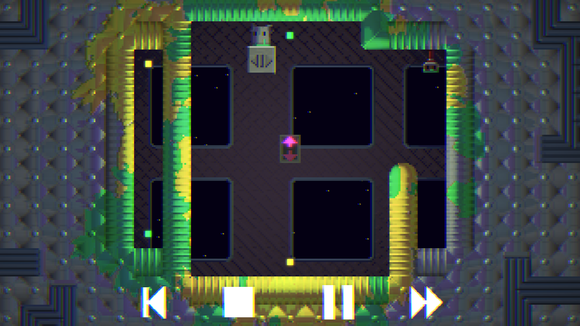 All the gameplay…and more: Telepaint is expensive (relatively speaking), but it’s totally worth the price. For $3, you get 112 levels spread across six different worlds (one of which is secret, and is only unlocked when you complete the first five). Each world introduces a new gameplay element that keeps the game fresh without overwhelming it—for example, in “Smoocher Castle,” your paint bucket is chased around the board by an overly amorous block that will crush him if it catches him. All these blocks want to get up in your business. 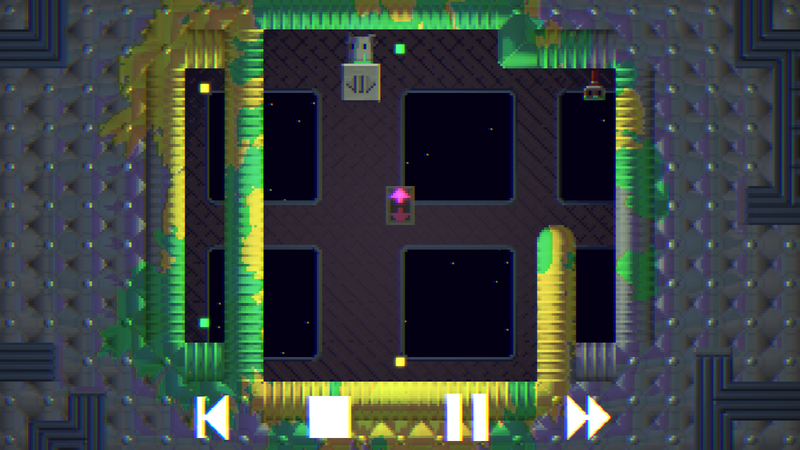 Despite being 112 levels, Telepaint is a fairly quick game to get through if you play regularly. It’s certainly not an endless game, though there are enough levels that you should find some replayability unless you happen to have a superb short-term memory.